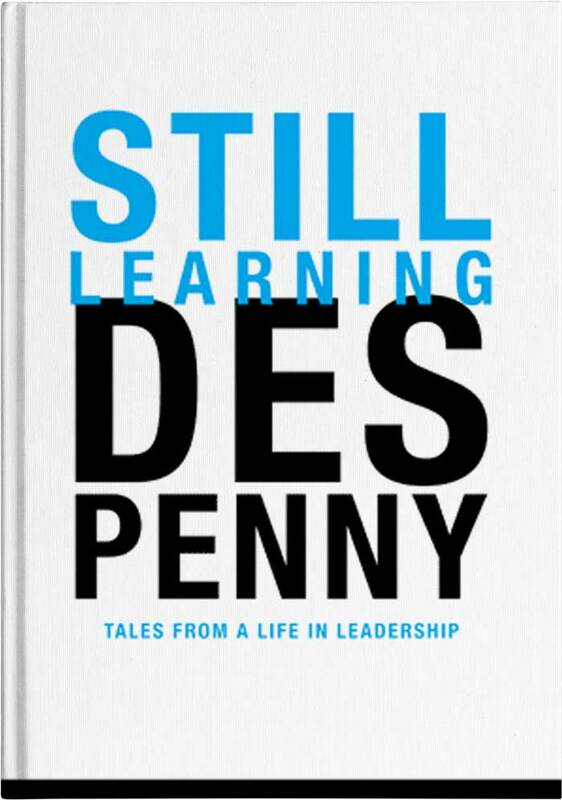 Firstly, I need to declare my bias in reviewing Des Penny’s book ‘Still Learning – tales from a life in leadership’, as Des is my business partner and I have been working with him at Proteus since 1998. However in stating that, I did thoroughly enjoy reading Still Learning and I highly recommend his new book. 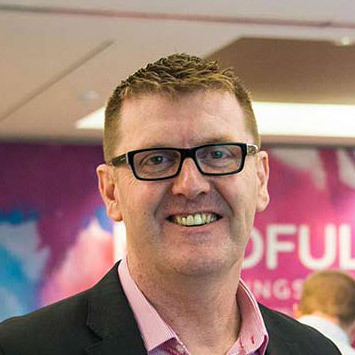 Des is the founder and CEO of Proteus Leadership, he is the editor of Proteuslife magazine, he is the creator of the Optimistic Disturber blog, and was awarded the My Business Magazine, Australian Small Business Leader Award in 2013. Still Learning was released in late 2015 and this is Des’ second book that follows his successful 2004 book ‘Life Eyes – the gateway to who you really could be’. Still Learning is a book where Des shares through 17 chapters, many of his insights as a business owner, leader, entrepreneur and mentor. But more importantly for me as a reader, Des is coming from a position of a passionate storyteller and educator. He remains deeply curious about the world around him, while continually learning and discovering insights into the privilege of leading people and helping them to grow. People who have been following Des’ writing or know him through his leadership presentations over the last 25 years, will be aware of his passion for taking back the controls in life, his provocative approach in challenging the status quo and his urgent call to action to kill off negative influences and destructive people. His no nonsense approach about getting clarity, making a decision and then getting on and making it happen is present in this book with quotes like: “Adapt to your changing environment, or get out of the way and let others with vision get on with the job”, Still Learning continues in Des’ style and voice. However, many people would not be aware of what really drives Des and how he became so determined and passionate about making life matter, leaving a legacy and never allowing yourself to be a victim in life. In his first chapter ‘Get off the mattress and become exceptional’, Des makes a very personal disclosure to a critical turning point in his life (a true make or break moment) that reveals the answer to this question. In fact I was really impressed by his vulnerability in declaring this landmark part of his life as to why Des is who he is and why he is so determined to create a better way in leadership and life. Des goes on to share some great transformational client stories and many workplace and people scenarios that we can all relate to (that are educationally tragic and magic). He also weaves some evocative childhood anecdotes, such as his grandparents ‘chook farm’ story (you need to read it) resulting in Des’ fixation with the importance of ‘Getting all your ducks in a row’! One of my favourite chapters is his analogy of ‘The Leadership Dance’. Des compels us to recognise that leaders now need to be like artistic performers (dancers) where behind the scenes it is the discipline, principles and meticulous practice that is the real way to sustainable success, even when we know that it is only the final dance that people remember and are inspired by. I also loved many of his insights and metaphors, such as the importance and urgency for leaders to be ‘Warriors of HOPE’ and why we need to develop a ‘Heart Of Butter and a Back Of Steel’. Leaders need to demonstrate deep empathy with the people who count, while simultaneously dismissing cynical critics. Plus his ‘Black Clouds Bring Rain’ chapter challenges us to look at adversity from a new perspective – where if we look carefully we can see beauty, hope and potential transformation in any given hardship. His chapter on the People You Meet and the story about his travel companion on his trip to Bali was a message in reserving judgement and seeing beyond the obvious. It was also fantastically hilarious, I was literally laughing out loud when reading what could have been a flight from hell. Finally, I particularly loved ‘The Leadership Circus’ chapter, which is such a powerful metaphor for working with, embracing and celebrating the diversity of people within your workplace. It shares a powerful egalitarian message of the importance of all roles within organisations. Des concludes his book with a declaration that happiness in not a right but a responsibility and challenges us to be happy, love lots and keep growing. Still Learning is a raw, heartfelt and a personalised account of Des Penny’s insights into the privilege of leadership and why we need to stay curious, increase our insight and keep learning. It is a book that bubbles along and entertains you, then smacks you profoundly in the eye, then hits you in the heart.